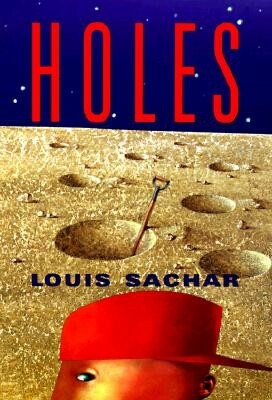 Holes is a great book for readers of any age, but especially people between 8 and 14 years old. The main character, Stanley Yelnats, is clumsy and awkward and has really bad luck which makes the story interesting and hilarious. I was able to finish Holes in one day because I liked the story so much! I was surprised by the “summer camp” he goes away to, and actually felt scared at a few parts. The only character I didn’t like was the camp director, and if you read the story you will know why. While Stanley is the main character in the story, I actually think that Kate Barlow ends up being the most important character, because she’s the whole reason the story exists. I give this story 5 out of 5 stars, and will read it again and again! Nikki: “What do you think about the fact that you have to dig holes all day?